Mr. Sam's family moved to Tennessee and he graduated from Central High School in Nashville. During his high school years, he discovered a love for music and it drew him into playing the trombone in the band. He later earned a B.S. Degree in IT from Tennessee Tech. Mr. Sam had a love for people. He could talk to anyone. This translated into a career as a salesman for industrial supplies. He later went to work with Dell and then Ceva. He had been enjoying retirement for the past few years. He and Mrs. Paula had celebrated 49 years of marriage in October. He was a devoted husband, father, and grandfather. When his sons were young, he introduced them to the joys of camping and being a Boy Scout. He served as a scout leader while they were involved. He and Mrs. Paula are members of Grace Assembly of God and have been since 1993. The church and their church family are important to them. 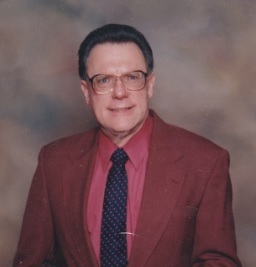 He served as the Adult Sunday School teacher for many years. His love for the Lord caused him to remark to family, friends, and even strangers "Be blessed and highly favored." He was the type of person who considered other people and their feelings above his own. One of he and Mrs. Paula's favorite places to visit was Gulf Shores. They loved taking walks on the beach and enjoying the peacefulness of the ocean.